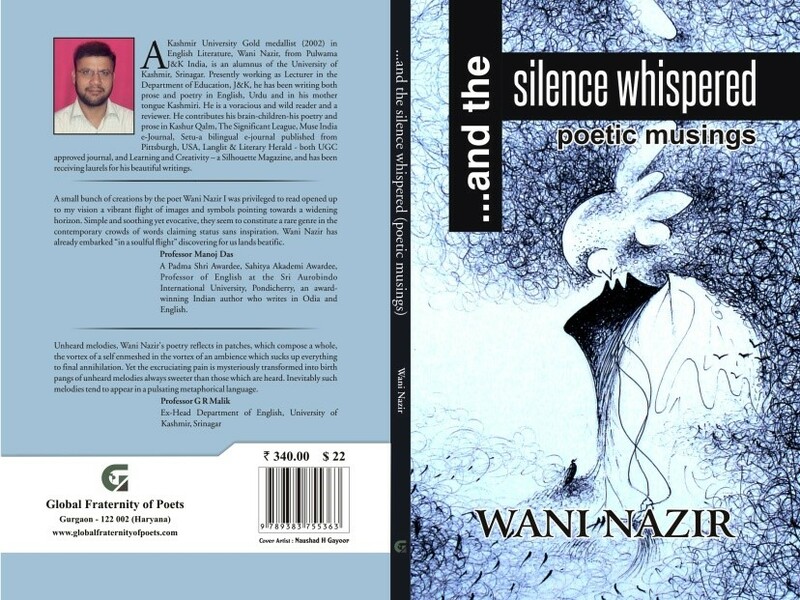 Published by: Global Fraternity of Poets, Haryana. About me and my ilk, O' Poet! So, hang on, O' Poet, hang on! Forget me not, forget me not! O’ my adorable Saqi! O’ Mohammed(PBUH)! Save pain, pangs, and elegies for the oppressed? Of one’s odious obscure orbs? Into inner intricate innate insanity. E – el dorado eternal. Yes! Among the crowds of contemporary creations this book is worth finding a place top on the shelves of the lovers of literature.